Windy City Soaring Association is a non-profit organization, a 501(c)(7) social club, dedicated to the promotion and enjoyment of soaring. Our members are also part of the Soaring Society of America (SSA). The purpose of the Windy City Soaring Association is educational and our intent is to have members participate in a program of education and training in the art and science of soaring within a club atmosphere. We are based at Hinckley Airport (0C2) in the friendly village of Hinckley IL, situated about fifty miles west of downtown Chicago. We are a short drive from most locations in northern Illinois and a great airport for a fly-in visit if you are already a pilot. Our club owns and operates two tow planes and several beautiful club gliders. In addition, many of our members also own their own sailplanes. 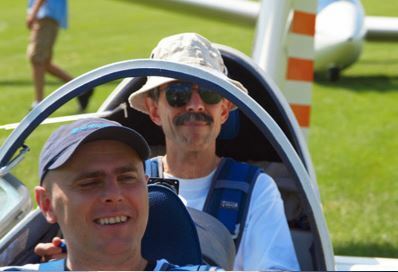 The range of our member's flying experience includes aviation beginners, seasoned multi rating instructors, cross country experts, and even a few record holders. 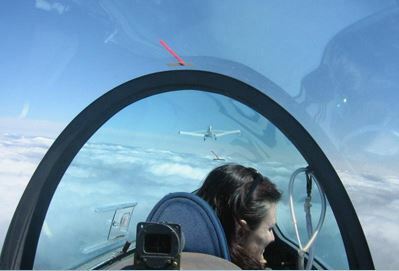 Several of our members also participate in competitive flying. We are organized as a volunteer working club wherein qualified members serve as ground crew, tow pilots, ride pilots and flight instructors. We each also perform other tasks as necessary for the club to conduct flight operations and social activities. Speaking of social activities, you really don't want to miss our fall Chili Fest! Each member contributes according to their individual abilities and qualifications. And, with our diverse backgrounds, flying experience, and ages, the club runs exceptionally well. Family members and visitors are welcome and we offer special rates for both family and junior members. And, of course, we would love to have you stop by our hangars or club house just to talk with our members about any aspect of soaring. Come on by and we'll show you around. When Long-time Windy City Soaring member and our good friend John Ehrisman passed away in late 2018, we in the club, in accordance with his wishes and the encouragement of his family, established the John Ehrisman Windy City Soaring Youth Scholarship in celebration of John’s life and to inspire and support youth flying. All scholarship funds will be used to assist youth members with their flight training costs. To donate to this scholarship fund, please click the link below. For inquiries regarding how to become a scholarship recipient, please navigate to the Contact Us page of our web site and send us an email expressing your interest. A member of the Scholarship Committee will get back to you with details. We have versatile instructors in the club ready to get you started or help you dust off your wings. Getting a glider rating is one of the least expensive ways to get started in flying. Several of our members have even moved from first flight to careers in aviation. It is well known in aviation circles that starting in gliders is a great way to obtain stick and rudder skills that are otherwise not as common to develop early on. We hold a summer corn festival, a fall chili fest, and other annual events. Family, friends, and anyone interested in flight are all welcome. Come out to the airport and talk with us about flying (caution: we love talking about flying almost as much as we enjoy flying itself! ), meet some of our members, observe our flight operations, check out our aircraft, take an introductory ride, and experience the joy of soaring. Our flying season generally lasts from April to November. We use the winter months for planned maintenance, general upkeep, and starting of new projects. 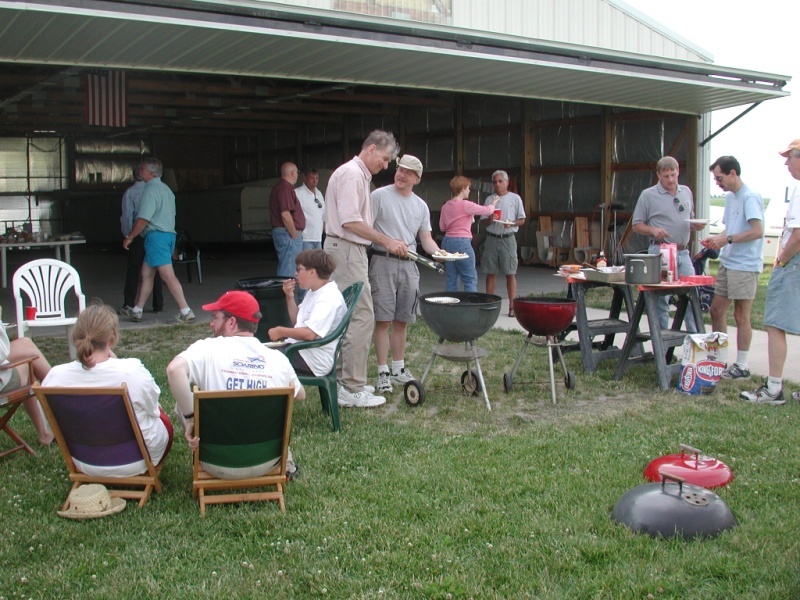 We also hold a winter social gathering to recognize those who have put extra efforts into supporting the club. We also proudly participate in the Chicago Land Glider Associations bi-annual Winter Soaring and Safety Seminars.